For the occasion of the PICNIC08 I filmed the 2 great new works, showing art on Second Life is evolving to a higher quality level. Using in-world instruments. The sounds grow stronger when the camera approaches. Concerts are played with people all over the world. animations, and performances of a jumping, hovering, floating, dancing and twirling Avatar. Orchestra Metaverse is a truly unique and spectacular event. 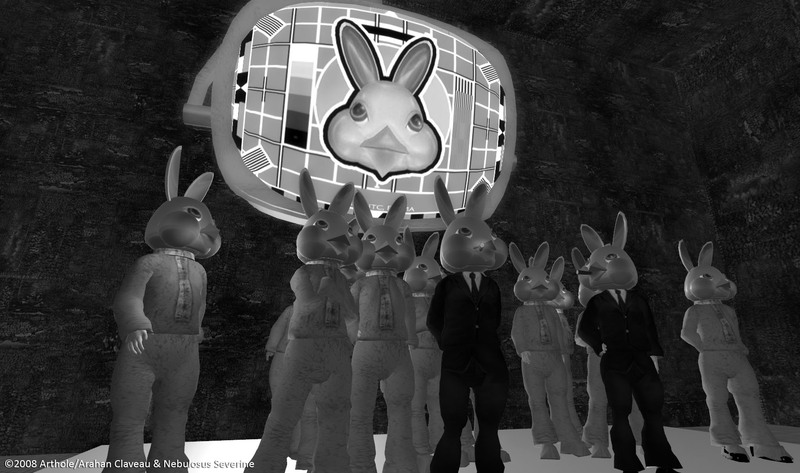 The Orchestra approach Second Life as an instrument itself.